The role of Juan Gallardo was originally made famous by Rudolph Valentino, in a silent film version. There was risk of another actor falling short in comparison to Valentino, who had become a star with the role. Because of the previous year's very successful remake of another classic silent film, The Mark of Zorro, Darryl F. Zanuck correctly believed that Ty Power could successfully follow in Valentino's footsteps. He cast him in the role and re-teamed him with Zorro's director, Rouben Mamoulian. Blood and Sand was a huge hit at the time and remains a favorite classic among his fans. 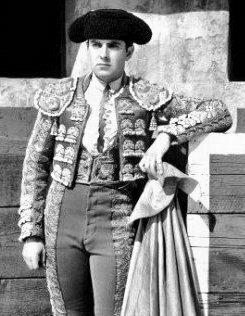 One other actor, in addition to Rudolph Valentino and Tyrone Power, has attempted the movie role of Juan Gallardo. In 1989, Christopher Rydell played the title role in Blood and Sand (Sangre y arena), opposite Sharon Stone, who took on the role of Dõna Sol. The movie was neither a critical or commercial success. Linda Darnell took the role of Juan's devoted wife, Carmen. 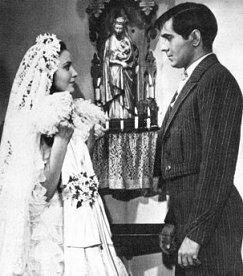 This was her fourth, and last, screen appearance with Tyrone Power. She had previously appeared with him in Day-Time Wife, Brigham Young, and The Mark of Zorro. Ty and Linda, a very popular screen couple, had wonderful chemistry together. Linda Darnell was perfectly cast as Juan's "one true one". Carole Landis was offered the role of Dõna Sol, but she lost the role when she refused to die her hair red for the part. Casting went on for weeks for the role of Dõna Sol. 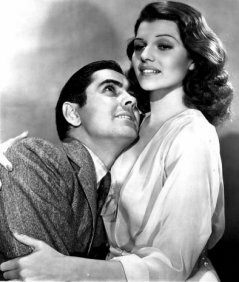 The director, Rouben Mamoulian, tested many beauties for the role of Tyrone Power's temptress before someone suggested Rita Hayworth. Other actresses considered for the role were Maria Montez and Lynn Bari, who ended up playing Ty's sister instead. 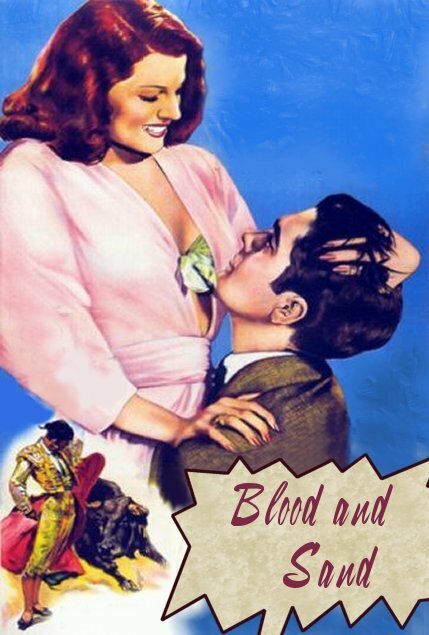 Blood and Sand is the movie that catapulted Rita Hayworth to stardom. She had appeared in a number of films since 1934, sometimes in the female lead or second lead role, but none brought her the stardom that the role of Dõna Sol did. 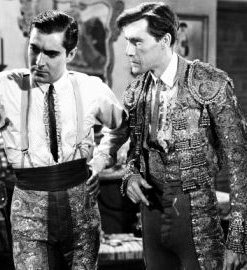 John Carradine, who appeared in several Tyrone Power movies, assumed the sympathetic role of Juan's friend, Nacional. Ann E. Todd played the role of Carmen, as a child. The year before, she played Ty's little sister in Brigham Young. Lynn Bari, who played Ty's sister in Blood and Sand, once confessed to having had a huge crush on him. At the time of the filming of Blood and Sand, Darryl Zanuck was considering attempting to turn Anthony Quinn, who played Manolo, into a Valentino-type star. The idea never materialized, and, for a while, Quinn continued to play secondary roles. In time, Quinn would became a star, but he never attained matinee idol status, as did Valentino and Tyrone Power. Laird Cregar, who played the role of the critic, Curro, died from a heart attack December 9, 1944, only about 3 1/2 years after the release of Blood and Sand. He was in the process of losing weight quickly, in an attempt to fulfill his dream of being a leading man. The legendary Russian star, Alla Nazimova, played the role of Ty's mother in Blood and Sand.